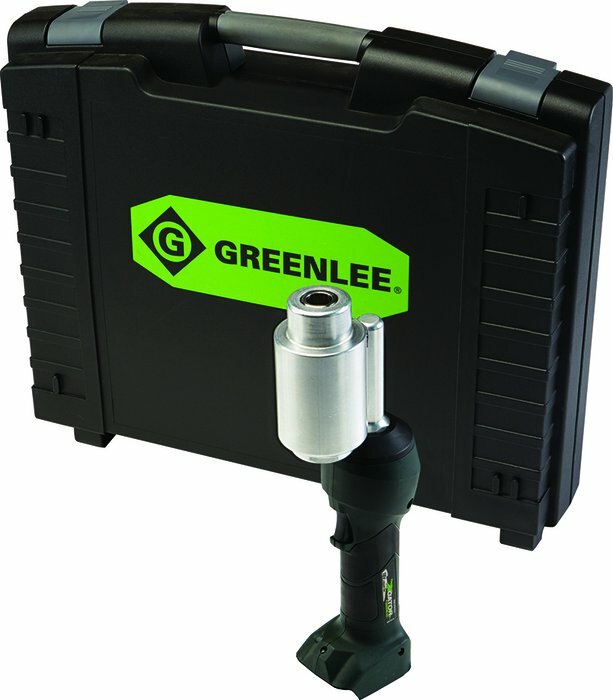 The NEW Greenlee Intelli-PUNCH is simply the smartest, fastest, most reliable knockout driver ever built! 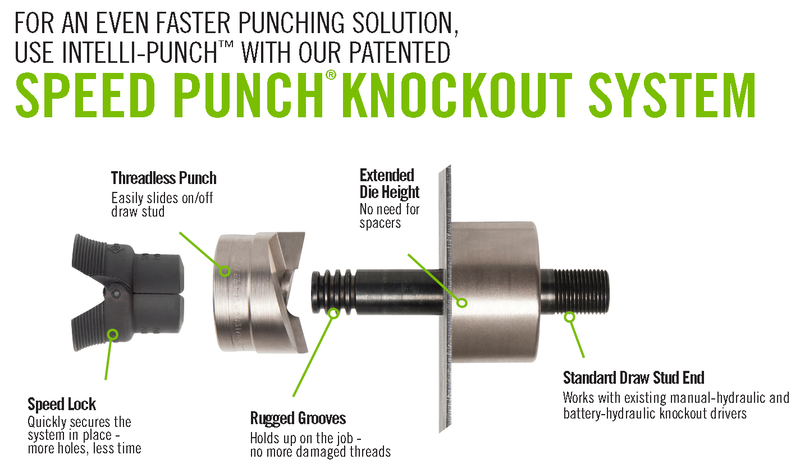 Application : Punch conduit size holes in mild steel, stainless steel, aluminum, fiberglass and plastic. Minimum Pilot Hole : 1/2", 7/8", 1-1/8"
Conduit And Pipe Size : 1/2" to 6"